Sixteen-year-old Meridian has been surrounded by death ever since she can remember. As a child, insects, mice, and salamanders would burrow into her bedclothes and die. At her elementary school, she was blamed for a classmate's tragic accident. And on her sixteenth birthday, a car crashes in front of her family home--and Meridian's body explodes in pain. 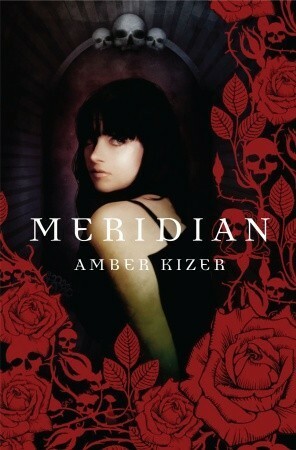 Meridian was really similar to a favorite of mine, Angel Burn by L.A Weatherly. The plot, the events in the book. Both had the male protector and counterpart turned lover complimenting the female proganist. They need to run and go into hiding to protect themselves from the danger of the townspeople hunting them. In both stories, the characters are threatened by an evil force that camouflage themselves as preachers of God and brainwash the town into believing the word of God is law. And of course, both female characters are half angels. Even though I have already experienced similar events in a different story, I still really enjoyed Meridian. My favorite thing about this book were the characters. I liked everyone of them (excluding the antagonists of course). Usually when I'm reading I found myself having an opinion about a certain character and finding faults in them I wish weren't there, but in this novel I thoroughly enjoyed every main character and the supporting characters as well. This book also gave me hope and touched me in a way that most books couldn't. I learned important lessons in this book that I will cherish and build myself on. It was definitely something I didn't expect in a fantasy novel. I love the addition of humor that lightened the mood after the deaths that were happening around Meridian. Meridian started off as a shy and scared girl confused with the curse that plagued her. Nobody would approach her and they constantly thought of her as a freak because everywhere she went something would die. When she is sent to her great-aunt's house far away she finally starts to figure out her abilities and her purpose in this world. Meridian begins to grow into a brave young lady that cares for others because of her selflessness. She knows her job is to take the souls of the dying into a better place, yet every time she knows the inevitable is about to happen she wishes she can stop the death or at least prolong it. Having to complete this task constantly must weigh down on Meridian. Good thing she has a her protector, Tens. At first he is brisk and barely talks to Meridian, but eventually living together under the same roof strengthens their bond and connection and they fall in love. Something that I was really happy to see. In this book, the romance was different. Tens and Meridian never really told each other how they felt yet they knew they were in love with each other. They depend on each other yet they are independent and rely on each other as partners and friends. When Meridian is overcome with sadness one night, it is then that Tens finally confesses his love for her. It is then that my heart explodes and I cannot stop smiling. The beginning was a little slow for me because she's just learning what a Fenestra is and what they do. Nothing exciting occurred in the beginning which is normal because we are just getting acquainted with the world of Meridian and these half human half angel beings that bless the world with their presence. 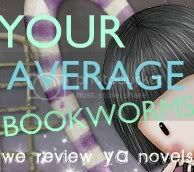 By the time it reached the climax and I flipped to the very last page I was sighing with contentment and satisfaction. It was a nice ending to transition the reader to the second book, which I'm anticipating highly! I can't wait to read more of what happens to Meridian and Tens in the next book of the series. Meridian is probably a favorite of mine for the year of 2014.